Manufactured to replicate the original style cut pile, this premium, 100% nylon carpet is made using 40% more top quality nylon than standard cut pile and is 50% heavier in weight for greater durability and a more luxurious feel. 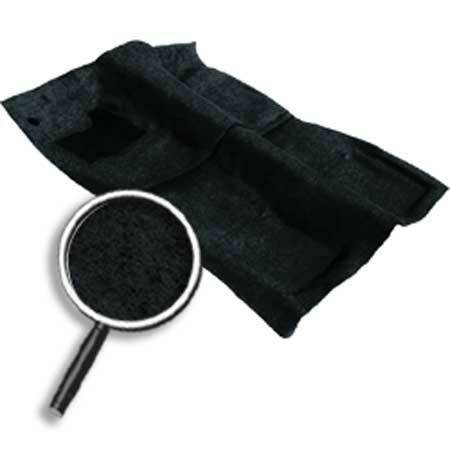 Each set is produced t o fit your floor pan exactly and comes as one piece just like the original carpet. The quality carpet underlay is used to eliminate noise and add padded comfort on floor carpet. Important: Due to variations in factory interior options (such as bucket seats, bench seat, floor shift...etc. ), minor trimming may be required for proper fit.